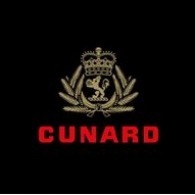 All Cunard tours, river cruises, expedition cruises, and adventure trips. Find the best guided trips and expert planned vacation and holiday packages. Average rating of 4.2 for all Cunard trips. An opportunity to see virtually every landmark in Rio, with breathtaking views from Sugar Loaf and Corcovado Mountains. Enjoy a guided drive through Montevideo to Punta del Este, the world-renowned seaside resort. Experience the lifestyle of a Uruguayan gaucho on this visit to the Estancia La Rábida; a day of relaxation and enjoyment. An opportunity to get to know the Argentine gaucho by participating in a real gaucho festival, with traditional music and dance. Experience the magical End of the World Train and visit part of the stunning Tierra del Fuego National Park. Experience the best of the Chilean ‘spirit’, including a horse show and wine tasting. Surrounded by the peaks of the Andes, Santiago is a fascinating blend of old colonial buildings and bustling new expansion. The perfect option for those who wish to explore the beautiful city of Santiago, independently. As you sail into beautiful destinations, you can take in the view while relaxing on deck. You may even want to rise a few hours early and take in the sunrise. The Hudson River and take in the famous New York skyline. See many of the city’s famous sites on this land and sea tour. Visit to the Statue of Liberty and Ellis Island – two of the world’s most renowned landmarks. Enjoy a city drive that will introduce you to the highlights of Boston, combined with a visit to the fun and fascinating Boston Tea Party Museum. Wake yourself up with a brisk walk or breezy jog around our promenade deck. Take advantage of the warm weather up on the Games Deck and enjoy a game of shuffleboard or croquet. One of Messina’s undoubted attractions is the astronomical clock housed inside a soaring bell tower on the Piazza del Duomo. The beauty of a Cunard cruise is that every moment is yours to do exactly what you want. You can be sociable from morning until night, or find your own quiet corner. You can stay active from dawn until dusk, or just enjoy taking it all in. Discover the World Heritage City of Bath with its beautiful Georgian architecture, Roman history and stunning scenery. Enjoy a visit to the magnificent Royal residence of Windsor Castle followed by free time to explore the historic town of Windsor. Learn about the history of the lighthouses of Skagen and its beautiful surroundings. Visit Voergaard Castle, the Buried Church and Bangsbo Manor for a Danish Pastry. Enjoy a relaxing boat trip passing many of St Petersburg's landmarks, before visiting the delightful Yusupov Palace. Discover Philadelphia, fondly referred to as 'Philly', birthplace of the United States and the nation’s cradle of liberty. Visit St Thomas' marine-life attraction, Coral World, and take in the island's magnificent scenery on this combination tour. Discover the beauty of Turtle Cove and enjoy a Caribbean-style barbeque on the beach. Enjoy a round of golf at the prestigious Royal St Kitts Golf Course. Experience river tubing down Dominica’s Pagua River, combined with a great photograph opportunity at the Hibiscus Falls. Combine a visit to Europe’s most intriguing prehistoric monument, with the enchanting medieval city of Salisbury. Visit the world’s most beautiful spring garden, home to over 7 million tulips, daffodils and hyacinths. Enjoy a full day in Brussels to capture the festive spirit of the famous Christmas Market, with its array of gifts and delicacies. Discover Bruges with its canals, beautiful medieval buildings, chocolates and lace. Discover Amsterdam’s highlights on a city tour, before taking part in the ‘Heineken Experience’. Discover the history and natural beauty of the New Forest with its famous ponies, quaint villages and picturesque landscapes. Enjoy the scenic delights of Beaulieu Estate including the National Motor Museum and Palace Manor House with its beautiful grounds. Discover the mystery of the ‘Loch Ness Monster’ at the Loch Ness Visitors Centre, and explore the historic town of Inverness. Enjoy exclusive access to the magnificent Balfour Castle, and savour one of Scotland’s top chef’s delicious afternoon teas. An interesting historic tour of the vibrant city of Glasgow with a visit to the renowned Kelvingrove Gallery and Museum. Absorb the beautiful scenery en route to Conwy and visit its medieval Castle before stopping in the quaint town of Betws-y-Coed.